If you would like to score two free tickets to Little on Tuesday, April 9 at 7 pm at Bow Tie Palace in Hartford, just go HERE and enter your information. PLEASE NOTE: By completing this form, your name will automatically be added to the advance screening RSVP list. Duplicate names will be deleted from the final list. An E-Pass will be emailed before the screening takes place and will be cross-checked with the final list. Seating is first come, first served and NOT GUARANTEED, so please arrive early. When the screening is full, this link will be disabled. Savings.com and L’Oreal are partnering with Target to give away $250 worth of Target gift cards. Five lucky people will get a $50 gift card to spend at Target. You can enter the giveaway by heading to the Target page on Savings.com and submitting their email address on the form at the top of the page. The winners will be chosen through a lottery drawing and notified on Monday (4/8) via the email address you used to enter. Are you gluten-free or thinking about going gluten-free? Come check out the 3rd annual Gluten Free New England Expo on April 28th, 2019, at the Toyota Oakdale Theatre in Wallingford, CT from 9:30 AM to 3:30 PM. There will be 70 vendors, food trucks, demonstrations and informative talks all about gluten-free foods and options. King Arthur Flour, Bakery on Main, Enjoy Life, and many other gluten-free food companies will be represented. Tickets are on sale online for $10 or at the door for $15. No tickets will be sold at the door before 11:30. If you’d like to try your luck at winning two tickets to the Gluten Free New England Expo, please enter below. The winner will be notified by email 4/22/19. MySavings.com and Journeys have teamed up and are giving away Ten $50 Journeys gift cards to help bring awareness to all the great spring shoes available on Journeys.com. Just go HERE and enter your email address for a chance to win. Winners will be notified via the email used on Monday, April 1st. 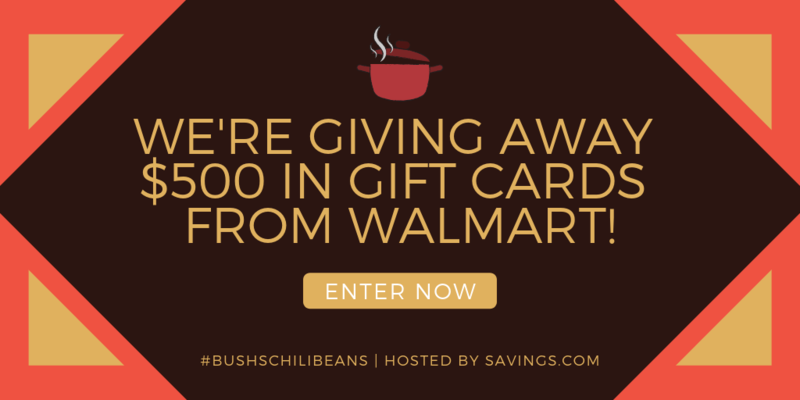 Savings.com has partnered with Walmart and Bush’s beans to give away ten $50 gift cards to Walmart. Plus, you’ll get access to a great Bush’s Chili Beans coupon! All you have to do to enter is go HERE and enter your email address. That’s it! So simple and easy! Winners will be notified via the email they use to enter on Monday, 2/25. Starting today, you can sign up to win one of five $100 gift cards for Zales. Enter the giveaway by heading to the Zales page on Savings.com and submitting their email address on the form at the top of the page. The winners will be chosen through a lottery drawing and notified on Friday (2/1) via the email address they used to enter. 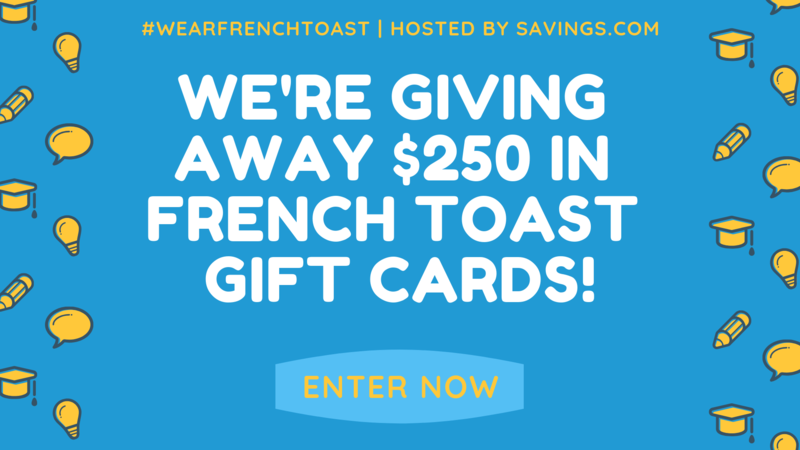 Savings.com and French Toast have teamed up to offer five $50 gift cards to lucky winners. It’s really easy to enter, too. Just go HERE and enter your email address. 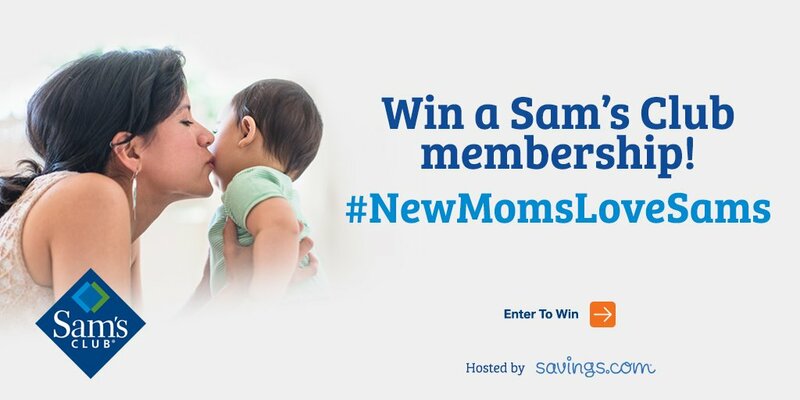 A Sam’s Club membership is a must have for moms, particularly new moms. It’s a one stop shopping place for diapers, wipes, formula, baby food, clothing and much more. You can also pick up everything you need for home, too. You can get everything from deodorant to laundry detergent to lightbulbs to dinner! The best thing about a Sam’s Club membership? If you don’t absolutely LOVE it, you can get your free back! 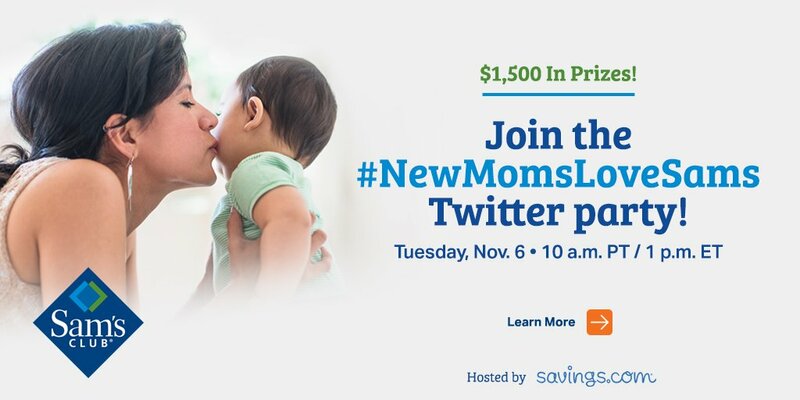 After you check out all the benefits of a Sam’s Club Membership, join the #NewMomsLoveSams Twitter party on Tuesday, November 6th at 10AM PT/1PM ET for a chance to win $1500 in prizes! You can RSVP to the party here. If you don’t have time for the Twitter party, you can always enter to win one of twenty-five $100 Sam’s Plus Gift of Membership Gift Cards! It’s easy to enter, too. Just click on THIS LINK and enter your email address. Winners will be notified by email you use to enter. 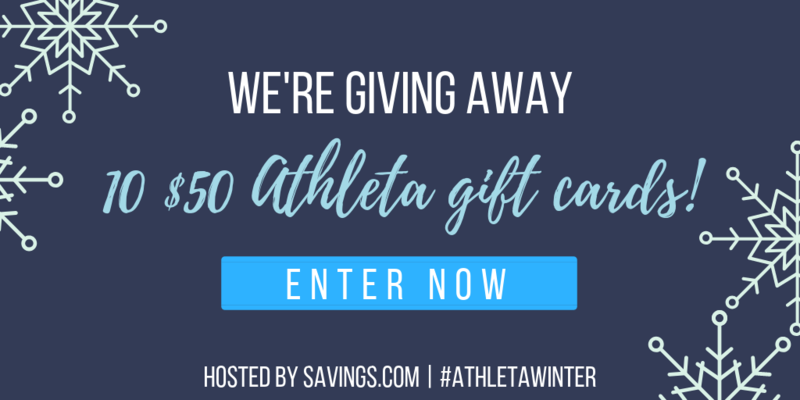 Savings.com has paired up with Athleta to host a $500 giveaway. Ten lucky winners will receive a $50 gift card to Athleta! To enter, go to the Athleta page on Savings.com and submit your email address on the form at the top of the page. Winners will be chosen through a lottery drawing and notified on Monday (10/29) via the email address they used to enter. 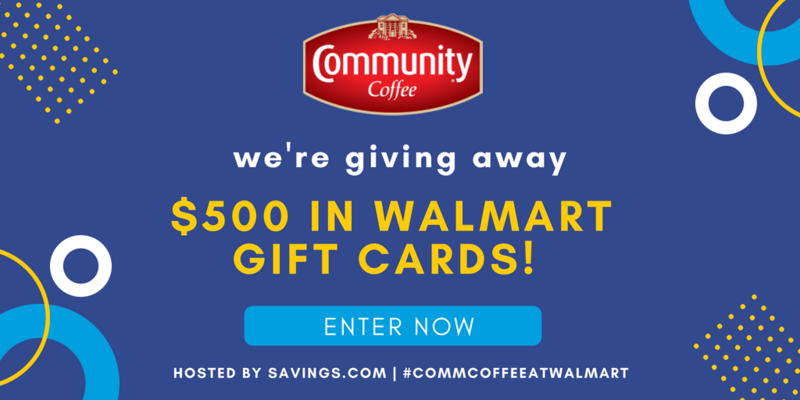 Savings.com is giving away $500 in gift cards from Walmart to support the Valpak Community Coffee Coupon, redeemable at Walmart stores! All you have to do is go HERE and enter your email address. Ten (10) winners will receive a $50 gift card from Walmart. The winners will be chosen through a lottery drawing and notified on Monday (7/30) via the email address they used to enter.